The terms "System of Record" and "System of Engagement" only entered the lexicon in 2011 (Moore), but they neatly encapsulate the issues around the push for converting to electronic health records (EHRs). EHRs are systems of record, capable of capturing and storing the mass of information needed to create more efficient and effective healthcare systems, but are not capable of driving the transformation on their own. It is systems of engagement that make that information actionable, transforming it into easy to understand formats that synchronize with workflows, and delivering it to patients and providers wherever they are. With these systems in place, facilities are already showing progress toward the Institute for Healthcare Improvement Triple Aim: improved patient outcomes and increased patient satisfaction, with reduced costs. Engaging patients is one of the simplest ways to reduce costs and improve outcomes. For example, notifying patients of upcoming appointments is shown to reduce no shows and encourage timely rescheduling in case of conflicts. Using a notification application eliminates human error and reduces staffing costs. A 2016 study showed that automated text notifications resulted in a 38 percent decrease in missed appointments (Lin, Mistry, et al, 2016). Missed appointment rates, as well as rescheduling rates, are improved by sending multiple texts for each appointment instead of one (McLean, Booth, et al, 2016). Arkansas Children's Hospital moved to a notification application and reduced missed appointments by 90 percent over five years while closing its call center and saving over $250,000 (Twilio). Patient portals leverage EHR data to engage patients via the web. Over 60 percent of providers now give patients some form of online access to their personal medical record, including physician notes, test results, and upcoming appointments. This access has been shown to increase engagement and patient satisfaction. According to the Office of the National Coordinator (ONC), in 2014, 38 percent of patients accessed their portal, and over 80 percent of those patients found that access helpful (ONC Data Brief 30, 2015). Access to medical notes has also been shown to increase medication compliance by 5 percent (Wright, Darer, et al, 2015) and improve patient relationships with providers (Heath, 2016). Systems of engagement, both within and outside of care facilities, are helping providers remake their care processes. Planning and scheduling software can now integrate information from multiple departments and areas within a healthcare system, facility, or practice. For example, low surgical utilization is a key driver of unnecessary expense and can delay patients from getting needed care. Some hospitals use a surgical management tool to assign OR blocks to specialties, assign cases to the blocks, track required perioperative tasks for the case, and track the patient through the entire surgical process, and report an OR utilization improvement of over 10 percent using this system of engagement. Mobile applications such as remote patient monitoring systems are also becoming more ubiquitous and more useful. 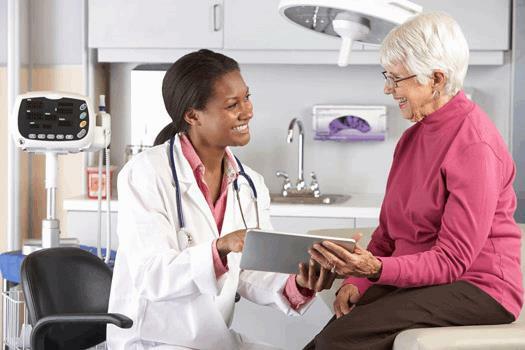 Remote patient monitors capture and securely transmit patient data such as vital signs and key biological markers to remote applications, which a provider can access using a smart phone or tablet. These applications can also be configured to send periodic reminders to patients—for example, reminding a chronically ill patient to take their daily medication at the same time. The impact on patients can be profound, with reductions in emergent hospitalizations and significantly less time spent on routine testing. Although data regarding outcomes is limited, studies show likely benefits. A randomized trial for 2015 showed that remote monitoring of hypertension was as effective as frequent office visits for controlling blood pressure (Kim, Shin, et al, 2015). Systemic reviews published in 2017 (Ashock, Melody, et al) and 2018 (Noah, Keller, et al), showed promise in improving outcomes and quality of life for patients suffering from obstructive pulmonary disease, Parkinson’s disease, hypertension, and low back pain. The use of analytics tools give healthcare systems and hospitals much greater transparency into their processes. Effective analytics systems integrate data from all the systems of record in a hospital, not just the EHR, into a single view, enabling analysts and executives to see connections and patterns that otherwise would have been siloed in separate systems. The information can be presented in easy-to-understand visualizations that also allow the user to drill-down into underlying data, identifying not only the problem area, but also possible solutions. For example, one hospital used a reporting and dashboard suite to speed emergency department throughput at every point in the treatment process, reducing ED to triage time by 80 percent, triage to room time by 60 percent, and room to exam time by 63 percent. Improving resource management is another area where analytics can provide significant results. Information on adverse events can hold the key to closing gaps in care. One facility noted that emergency care could be delayed on the surgical floor while someone located a crash cart. The facility increased the number of carts and designated specific locations for them, resulting in a significant improvement in outcomes for patients who coded. Also, connecting costs directly to individual cases can help facilities identify and reduce inefficiencies. For some facilities, that means improving coding practices to increase Medicare reimbursement. Others may find they are overpaying for prosthetics or overstaffing because they haven't previous tracked seasonal population shifts. McKinsey estimates potential industry-wide savings in the hundreds of billions of dollars, with individual systems and hospitals reaping a proportionate benefit (Kayyali, Knott, Van Kulken, 2015). While Systems of Engagement are not a silver bullet, they can help build on the foundational data resulting from Systems of Record, and resolve some of the frustrations. The data captured in Systems of Record already contributes to an improvement in patient safety. Simplifying access to, adding value to, and updating that foundational data can reduce the frustrations around using Systems of Record, which improves provider and patient satisfaction, increases utilization of healthcare resources, and results in even greater patient safety gains, with the ultimate goal of achieving the IHI Triple Aim.